Tavern Hall is big, beautiful and fun. 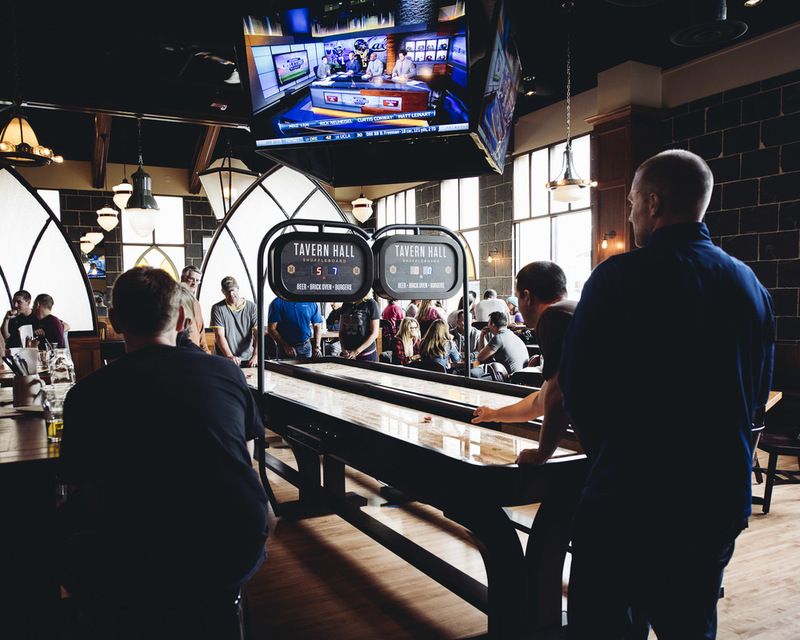 With a prime location and plenty of parking, we designed it to be the perfect spot to host large events. 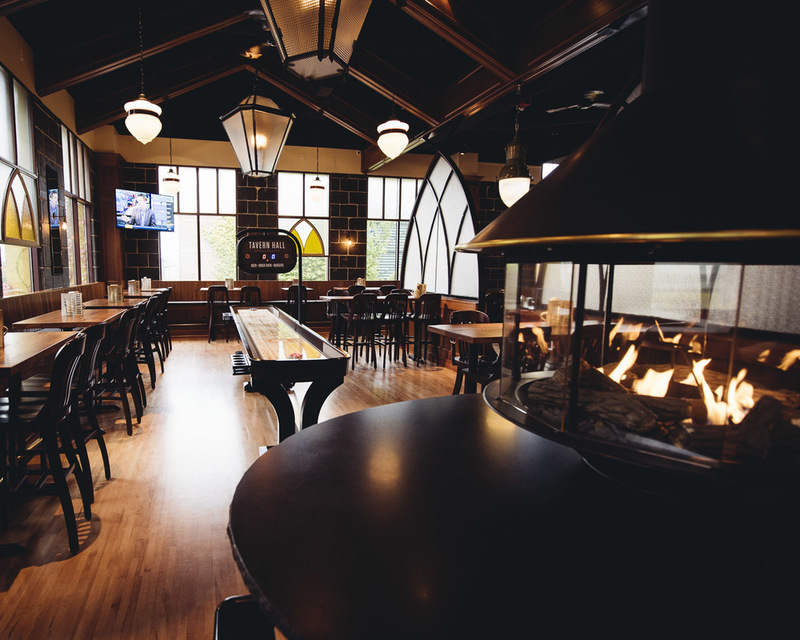 We can accommodate groups of 30 to 400 making Tavern Hall an ideal spot to host personal celebrations, team events, corporate functions and class reunions. 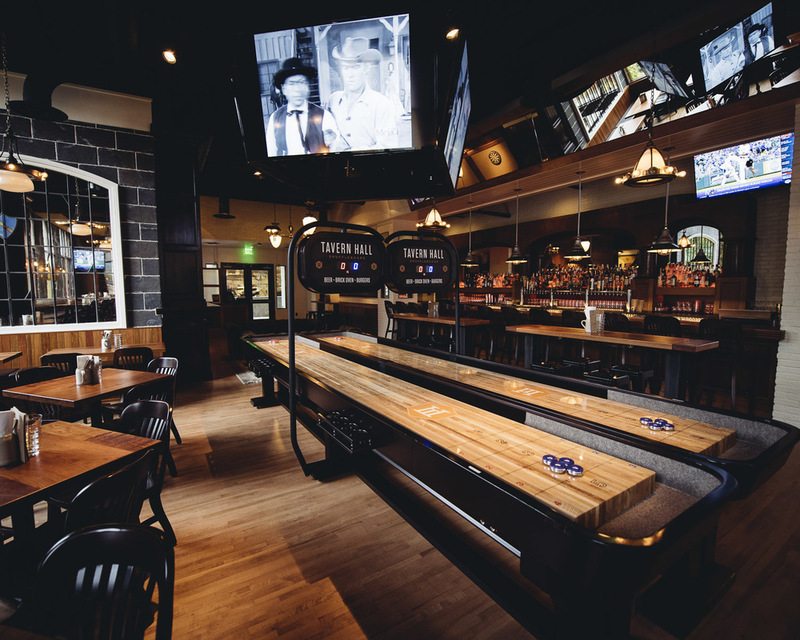 We have three distinct areas that can be rented out separately or combined for an extra-large party. 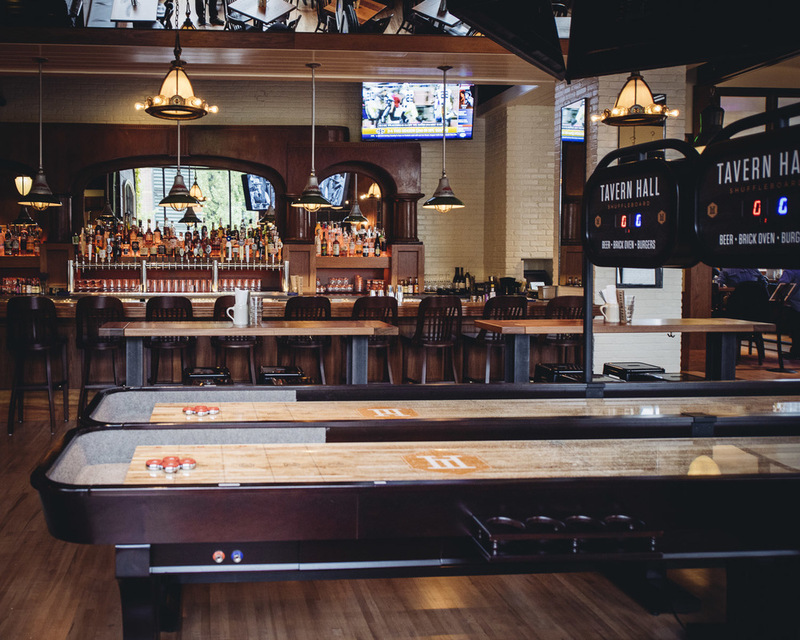 None of these rooms are closed off from the action at Tavern Hall, yet each will provide the space you and your guests need to be comfortable while soaking up the atmosphere at Tavern Hall. Each of these rooms can be rented any day at any time. 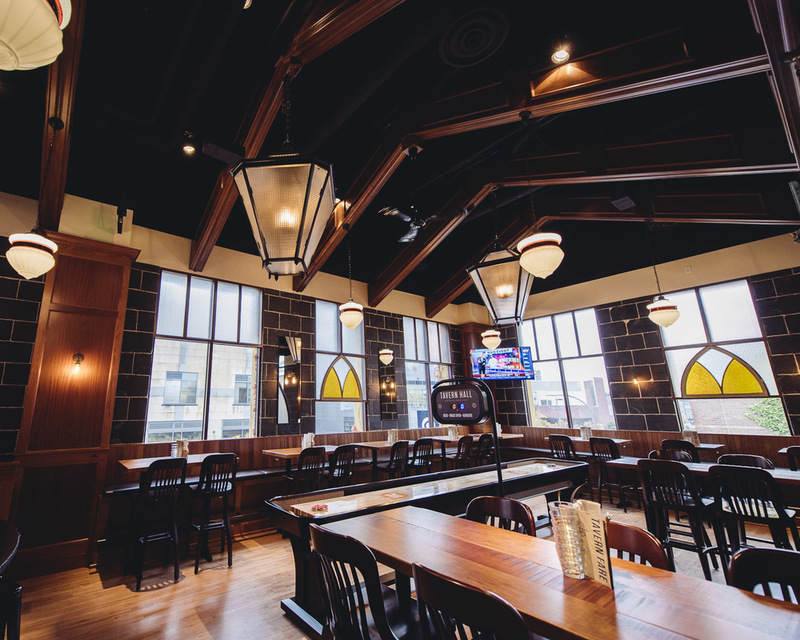 When building and conceiving of Tavern Hall, we envisioned a space that could be flexible and, most importantly, casual and entertaining. 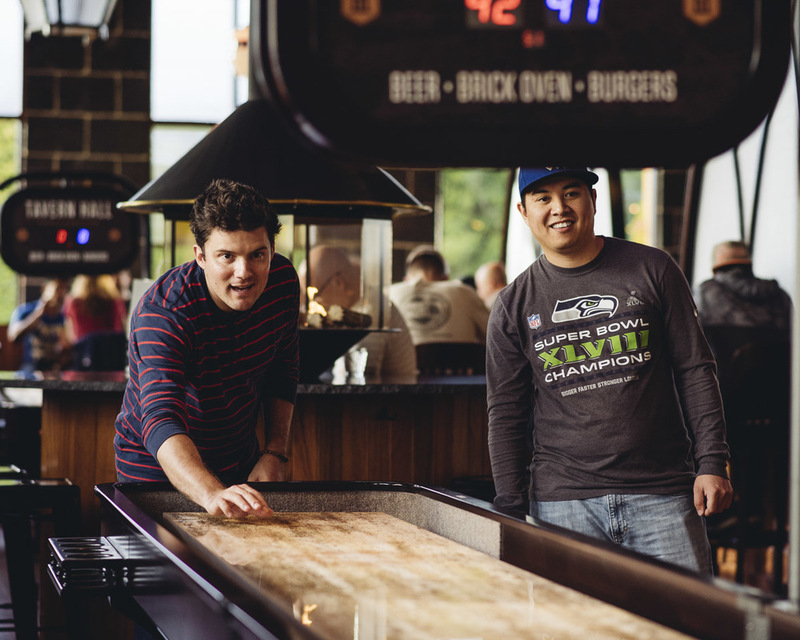 Our preference is to help you throw an event focused on being social, networking and having fun. This means that there is no dinner bell for your event. Instead, we'll feed the group over the course of your event. To be honest, we are kind of allergic to chaffing dishes and big long buffets. At your Tavern Hall event, no one is going to line up at a buffet to fill a plate, find a seat and sit down to eat a quiet meal. Instead, we hope your group will be moving about our rooms, dodging in and out of conversations, eating off of our servers trays during the entirety of the event while talking, playing and watching games. We want to facilitate those “collisions” that will help your company attain even greater success. 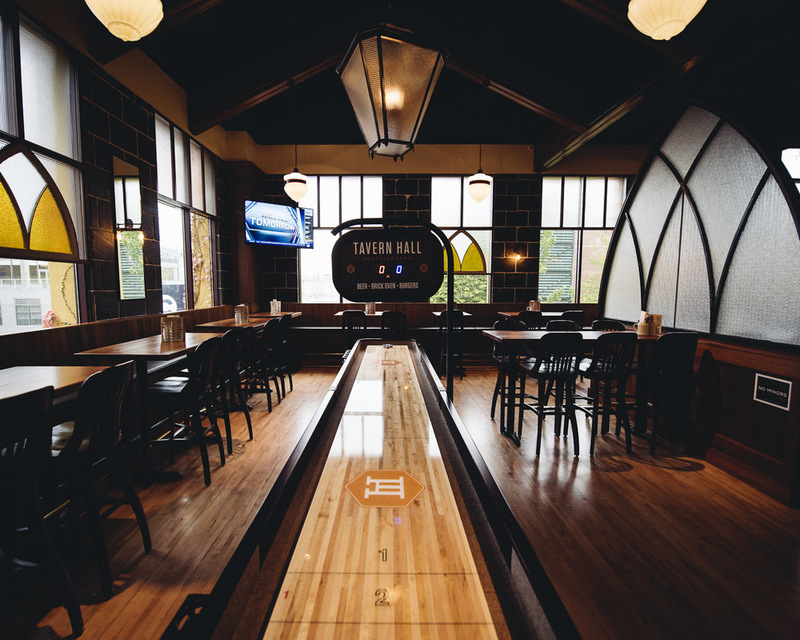 Whether you are planning a new party or looking for a fresh alternative for your next event, Tavern Hall provides everything you need in the most convenient location in all of Bellevue. Each room carries a rental fee in addition to a food and beverage minimum. The rental fee entitles you to three or four hour rental depending on the particular room you choose for your event. These rates vary based on the size of the room, the day/time of the week and the month of the year. 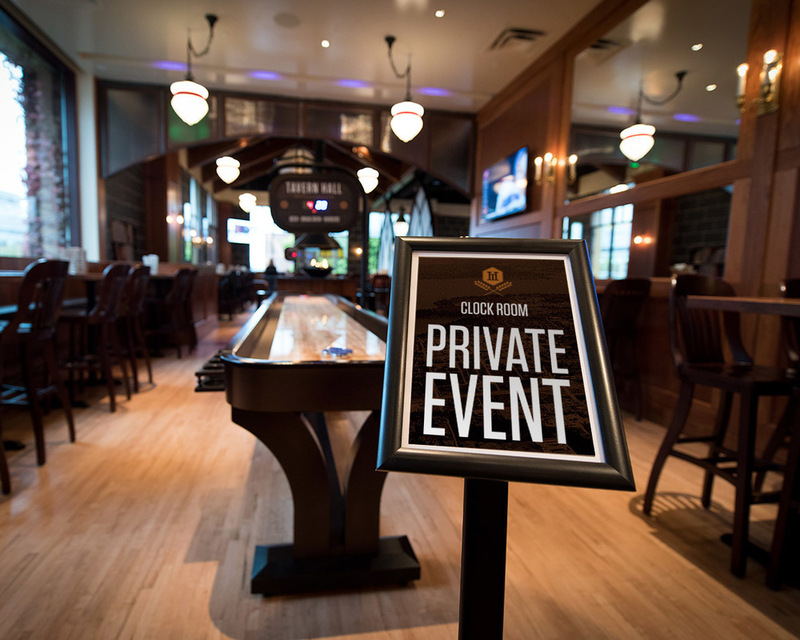 This is demand based pricing, so the busier we would be during your event, the more we need to charge to take the room private for your group. We will confirm a reservation with a $500, non-refundable deposit which is applied to your bill when the event is over. If you need to change the date of your event, will gladly do so if a better one is available. 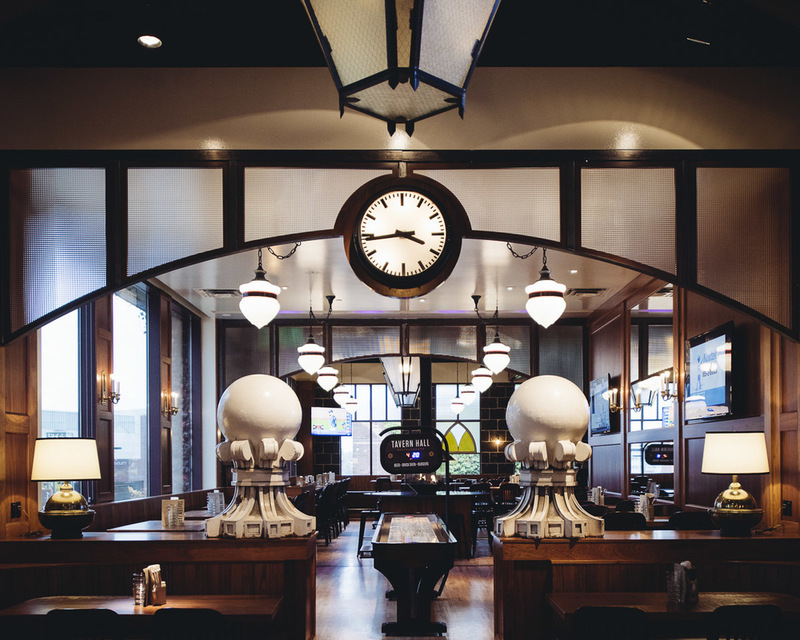 Situated just beyond the finials we reclaimed from an FBI building in Washington D.C., and just under the large clock, you’ll find our smallest room. It can seat 18 and accommodate up to 40 for a standing cocktail event. 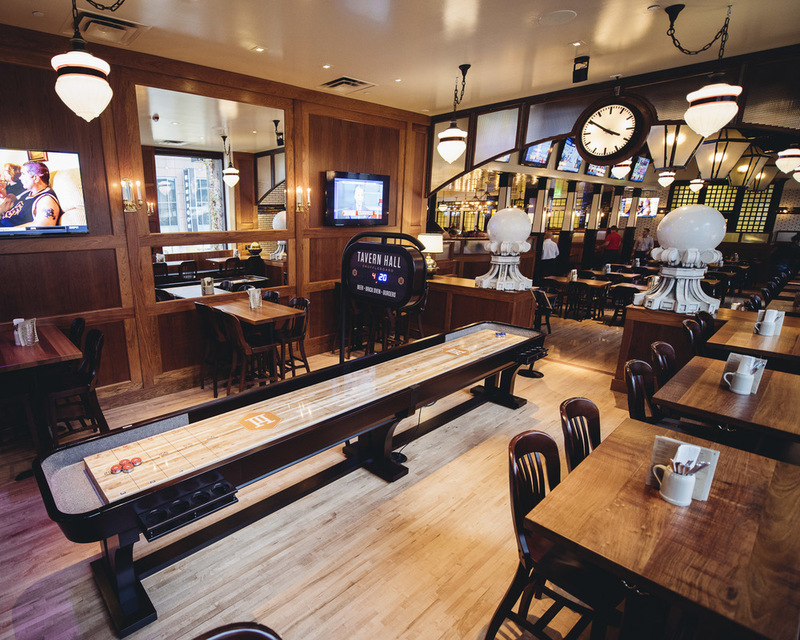 It features a shuffleboard table and two flatscreens to enjoy the game. This room is rented out for three hour events Monday through Thursday and four hour events Friday through Sunday. This room is open to all ages. 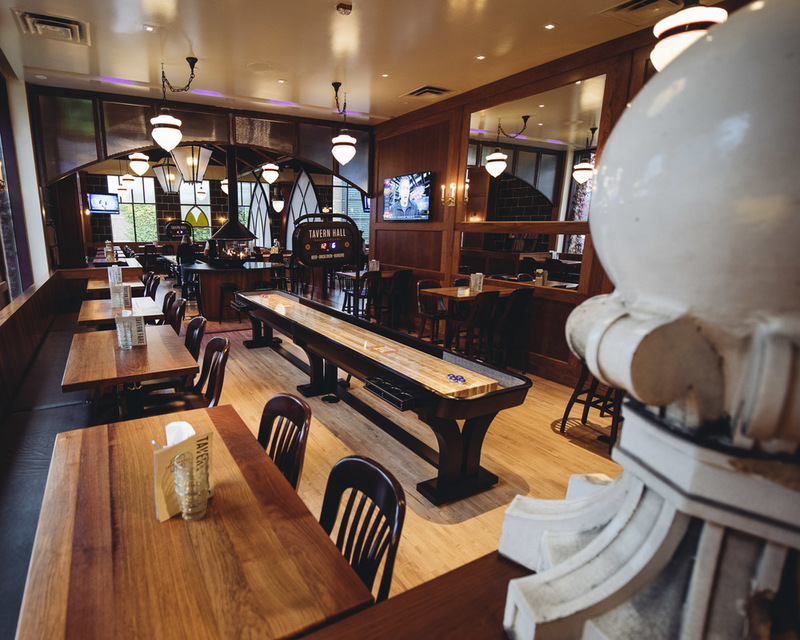 The Corner Office (as our nearby office mates like to call it) seats 32 and can accommodate up to 60 for a social event. It occupies the southern corner of the building and has beautiful daytime light. 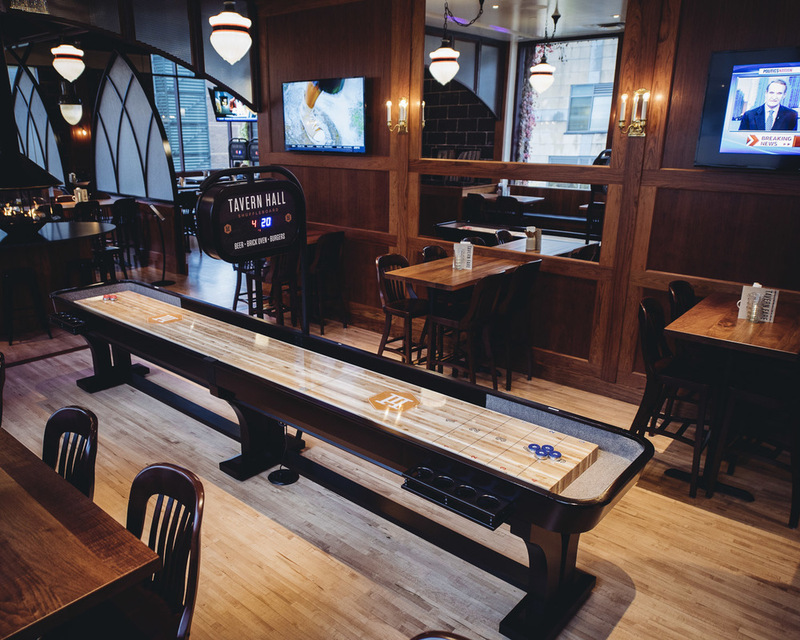 It features reclaimed windows from a church in Portland, a fireplace seating area, one shuffleboard table and four flatscreen televisions. This room is rented out for three hour events Monday through Thursday and four hour events Friday through Sunday. This room is open to all ages. 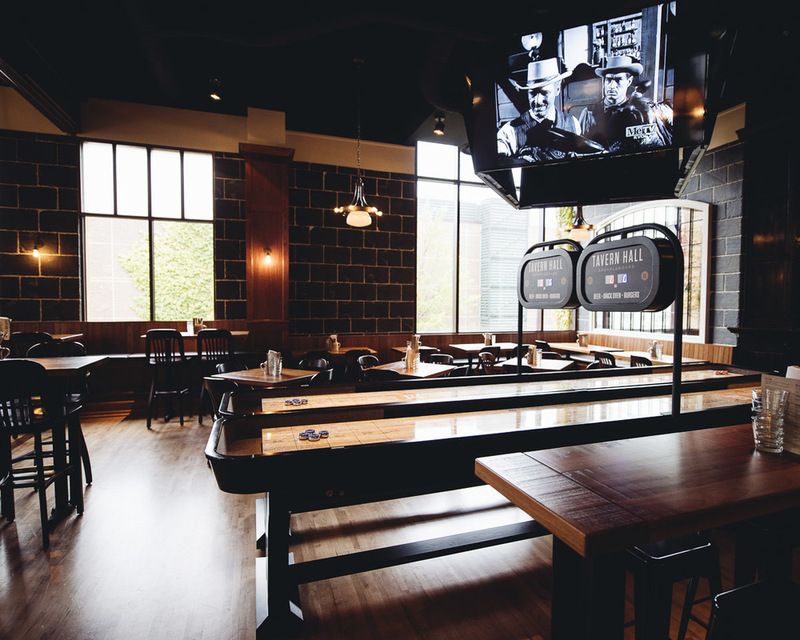 The South Bar, can accommodate large groups up to 100 people. 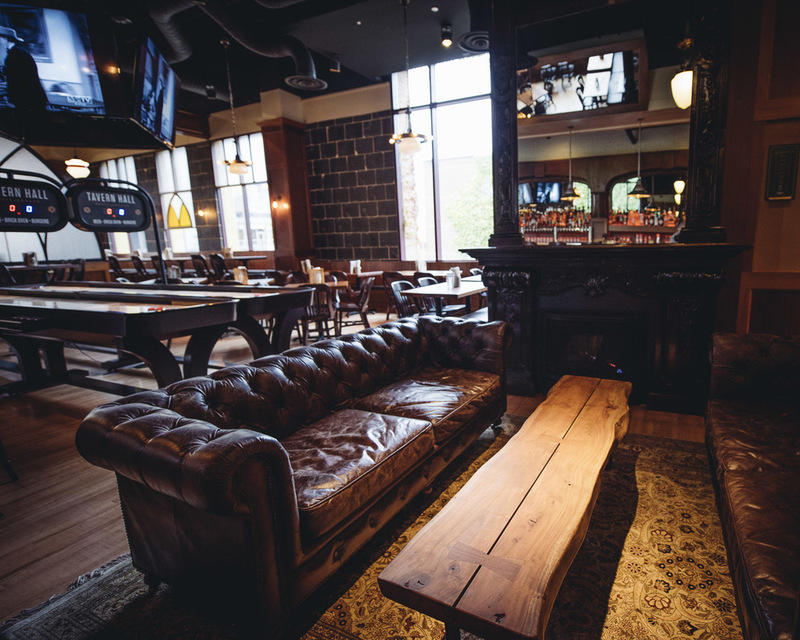 The space features a 150 year-old fireplace and sitting area, a 100 year-old private bar from Baltimore, light fixtures from all corners of the world, two shuffleboard tables, two steel tip dart boards, four presentation-enabled flatscreens, and Golden Tee & Buck Hunter video games. You also get your own private entrance if you want to avoid the crush at the front door. 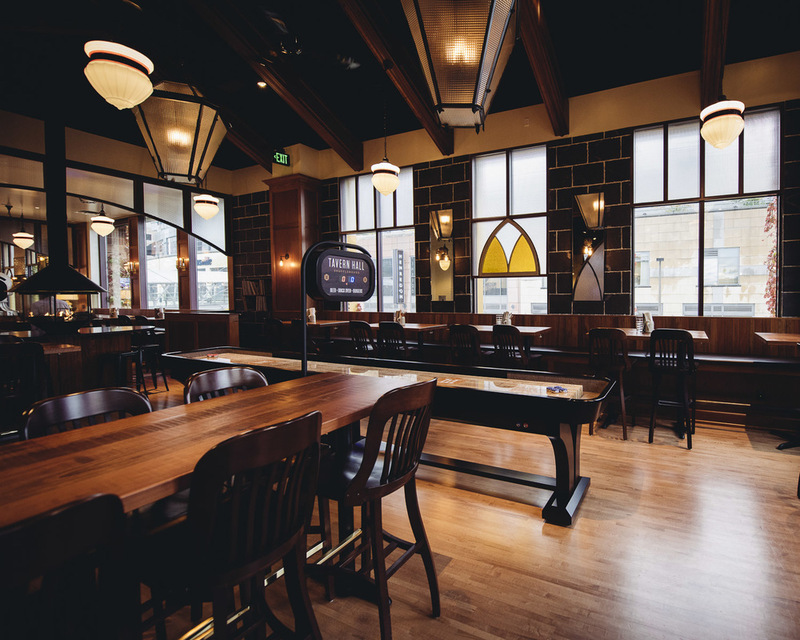 This room is rented out for four hour events and, unfortuantely, is not available for groups with guests younger than 21 years of age. .
Click the button below to get started. We will be in touch shortly and can work with you directly to plan your event. 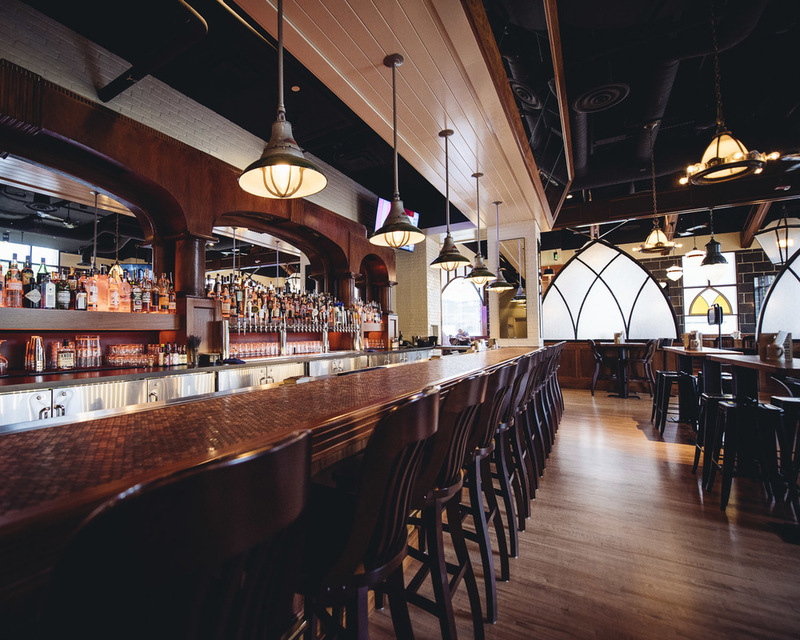 From custom menus to onsite staff, Tavern Hall will help you craft an unforgettable experience for your guests.